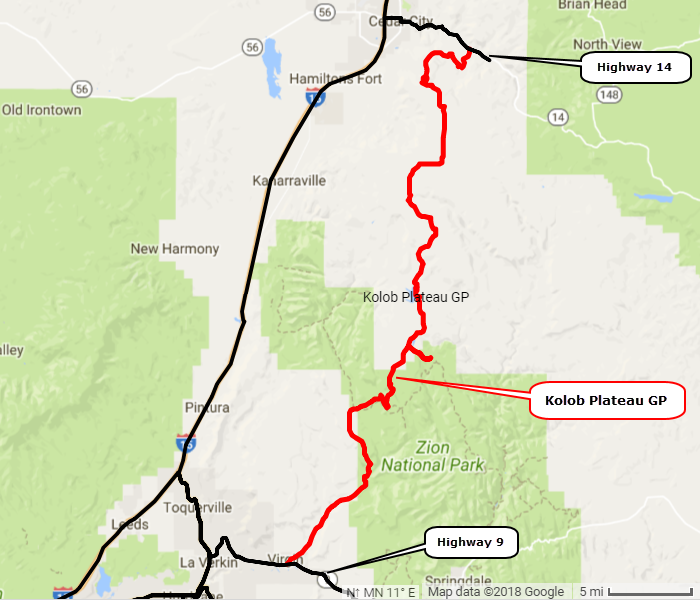 Kolob Plateau is an easy road that can be driven by any vehicle with a bit of extra clearance. 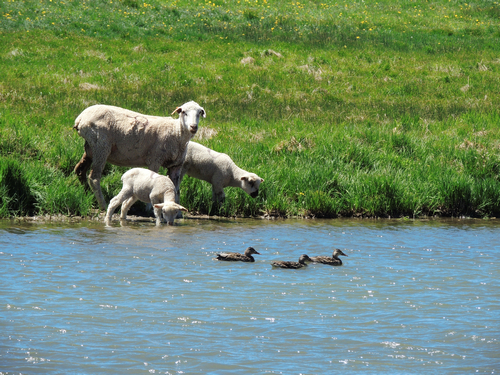 The northern 8 miles are paved, as is the section south of Kolob Reservoir. The central portion of the main road, and the Zion overlook spur, are well graded. This road can be driven either way, but is more scenic if driven north to south. 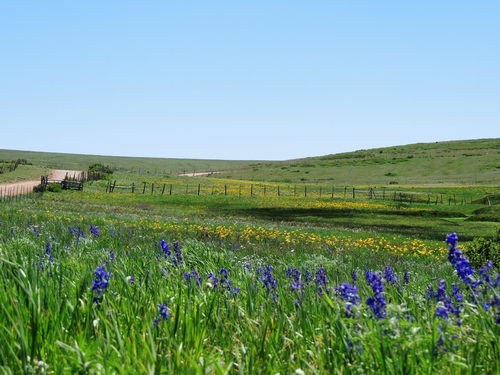 The climb from Cedar City to the top of the plateau offers outstanding views westward toward the Great Basin. 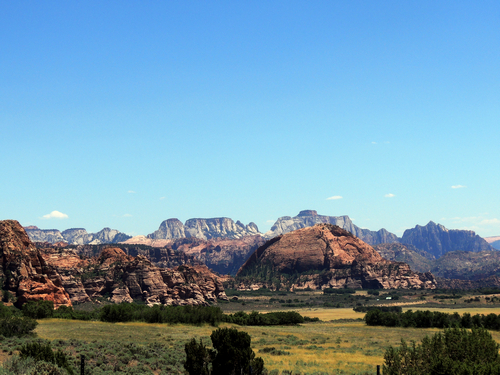 Kolob plateau is 9,000' elevation with a mixture of aspen forests and open rangeland. Very enjoyable area. Great views into Zion as you descend on the southern part of the run.